Lifetime experiences of Sri Ganapati Sachchidananda Swamiji's devotees, collected and published by Avadhoota Datta Peetham (two 'devotee experiences' added per week). My first meeting with Sri Ganapathy Sachchidananda Swamiji happened around 1970 at Kutchery Road in Madras. Firstly, I must thankfully remember my elder brother through whom I got in touch with my Sadguru. At that first instance, it was just an instinct to go near to Him, which was out of an unknown desire. However, I can truthfully say that the driving force to go to Him was the encouragement from my wife. Our first reaction, from those first meetings, was the apparent disapproval from Sri Swamiji to see us, which in turn increased our desire to meet and talk with Him. We continued to pursue that desire, but the conflict to go nearer and the disappointments because of His disapproval continued for nearly a decade. This is something, which I cannot define even to day. Today, I can say that they were tests for us during those early days for our entry into Sri Swamiji’s fold. At that time, ours was a small family, with two kids; three years and one year old respectively, with an above average income. Up until 1978 we remained in Madras, then for prospects of my career we moved to Mysore. At first, this change was a happy one, because we felt that our dream had come through; a dream that we should be closer, to be with Sri Swamiji. Also, my professional level had improved. From time to time, we would visit the Ashram and witness all Poojas and listen to His discourses. During that time my family and I performed our first Pada Pooja to Sri Swamiji which continued for seventy-four times during the subsequent years. The first time we performed Pada Pooja the whole pattern of my life changed because that was the start of our spiritual journey in a holy atmosphere with an undefined friendship. The only thing that Sri Swamiji said at that time was, “Please keep this friendship. This friendship did not start today. It was from your several lives / janmas of you both”. Subsequently, the next ten years was a period of hardships that were various in nature; professional, health, and total disturbance in life in general. The hardships started when Sri Swamiji asking us to leave and go in search of another job outside Mysore. For some time afterwards, we could not reconcile ourselves to this development. However, this period lasted for only a year. Suddenly, one day Sri Swamiji called us and said that we should leave Mysore at once and go in search for another job in Madras. This was an unbelievably harsh order from Sri Swamiji. He gave no reason whatsoever for it. All He said was that it was for our good. We could not understand His thinking then. We sat there pleading with Him to permit us to remain in Mysore, but this only made Him harsher. He called the late Mr. Bhagavat and implicitly told Him that His instruction in asking us to leave Mysore was for our good. We had no choice but to concede and got ready for the shift. I went in search of a job and with His blessings I took up one, out of the two options that I had. Later I shifted to Madras to my new job. In a less than six months a windfall of an opportunity came and I constructed a house which I never dreamt of and was never prepared for. With a new job and the difficulties in settling down in a new environment, the task of building the house was painful one. Basically, the thought that we were not near to Sri Swamiji was much more painful. Finances came from all unknown sources and the house was built in a record time. During this period, my professional life was a misery. I was never was able to settle in the new place and I was constantly searching for a change. A newspaper advertisement calling for professionals for a project in Mysore was a pleasant sight for me. The advertisement said that this project was presently at a place about two hundred kilometers away, but will be shifted to Mysore in due course. I sought Sri Swamiji’s permission and blessings to take up this job. He was quiet angry with all these inquires, because I was not able to sustain the troubles which I was facing in Madras and it seemed that I was in a hurry. He scolded me and said that I had such an unstable mind; like that of a monkey. But anyway, in the end He blessed me and said that I would come to Mysore soon. That was all I wanted to hear through His holy voice. My wife and I knew no bounds for our happiness. I stayed in the new house for just seventeen days, left my family in it and I went to the new place. Then ill health and financial problems started haunting us. What was said to be a project that would come to Mysore in two years ended up with the total corporate office shifting to Bangalore within six months and then to Mysore in less than an year. I cannot explain in words the joy that my family experienced when we came to the Ashram to see Sri Swamiji as soon we came back to Mysore. When we entered the compound, Sri Swamiji was sitting in the prayer hall speaking to the late Krishna Murty, the Manager of the Ashram. Seeing the four of us from at a distance coming towards Him, Sri Swamiji was addressing Sri Krishna Murty. Pointing His finger towards us and showing him, He said “This group of four belongs to me, how I can ask them to get out. I wanted them back. They did not know this when I asked them to leave Mysore a year ago. They fought with me and refused to go in the first instance. But they listened to me and they are now happy. I fought with their fortune and brought them back.” Yes! Our faces really explained all that truth. Late, after almost ten years, it was a different experience altogether. My career growth threshold to face difficulties in my professional life and society were all due to His invisible acts and driving force. He always taught me that “Work is Worship.” That saying was instilled in me and it earned me a good name in my career. On this aspect Sri Swamiji always maintained that I should undergo all that hardships, in spite of the slow growth and obstructions that were emerging. Even with His blessings, it took almost a decade for those obstructions to vanish. The slow process of my growth stated from then and I ended my career in the third to the top management slot. However, were it not for His timely cautions from time to time, I would have fallen sick and misery would have reappeared. The next chapter of my life was to be a life for self as defined by His Holiness. The post-retirement period from my job was the start of different experience altogether. The experience after finishing working for others and working for the self; spending almost full time at the Ashram is of a different nature. I thought I had finished my kindergarten class in work ethics. However, the syllabus in spiritual life is of a different nature; they are found in self-discipline, patience, perseverance, selflessness and many other simple attributes. At the end of three decades of professional life elsewhere, I started to learn to unlearn what I learnt outside. I started learning good things from other devotees and taking Him as a teacher was the first lesson. Since retirement I have been serving in the Ashrama and even that amount of time is too little to say that I have done anything to strengthen it. However, to my pleasure my family has taken up the baton and that gives me a feeling of contentment. Poojya Sri Swamiji is an unseen guest at every meal in my house and the silent listener at every conversation. It is not possible for me to know what invisible acts my Guru did to me to bring me and my family to Him. I remain memorizing this truth till my last moment of breath. My faith is unshaken and my love is unsurpassed. I know that He will always be with me. Is it my right as a Hindu girl who was born in the 1950s in Karnataka, to have an avid education, to be what society demands, to have a Guru? What is this right? My story begins in Mysore. My name is Gayatri…. ashramamites call me Bhajan Gayatri. I started working in the government service in the early 1970s. My sister and I loved singing bhajans, and so became devotees of Sri Sathya Sai Baba. In the early 1970s, my mother’s friend would visit a young Swamiji in an ashrama on Ooty Road. She kept insisting to my mother that she would like to take the girls with her to the programs. Not searching for a Guru, we adamantly hesitated. Finally we broke, when we found out that this Guru sings bhajans everyday; especially bhajans like Manasa Bhajore Guru Charanam, Premamudita Manasa Kalo and others, as these were bhajans that were sung by Sri Sathya Sai Baba. Our first entry, for the 1972 Navaratri, was with trepidation. This was a forested property with snakes and other wild animals. There was a small cottage and an open shed. When the program got underway and the bhajans got started, After that initiation, I became a frequent visitor to the ashrama. I was eighteen years old and saw a new world, a new universe, a new life. I was so enchanted that I wanted to a part of this miracle. I began attending the programs more often, and started participating in Guru Seva. In 1976, my sister and I wanted to join into the Hatha yoga classes that were part of the ashrama activities. At that time the participants were only boys. How were we to get entry? Anyway, through His grace we were allowed to join in. The continuous flow of nectar was being provided. Later that year a printing press was acquired by the Ashrama. As my mother tongue is Kannada and I was able to converse and write some English, I became the writer, editor, printer, publisher, and distributor of a new ashrama magazine; Bhakti Mala. The Bhakti Mala would be published later in English and Kannada. In 1978, Sri Swamiji started insisting that Telugu publications should also be produced. I did not know Telugu, how was I to perform this task? I placed my fears and doubt at His Holy Feet. Standing at the case in the press, Sri Appaji looked at me and said “don’t worry, you can do it”. That was my incentive. With His grace, I started to learn Telugu with rapid progress. So the Telugu publication was also started. For fourteen years I did the Ashrama publication of Bhakti Mala as part of my Guru Seva and I would not trade any part of this experience for any worldly or material thing. Father, mother, siblings, friend, companion and Guru, this is what my Sadgurudeva is to me. I thought that with His grace, I could be anything that I wanted to be. Now I know that His is the only meaning, and His sankalpa, whatever it is will surely happen. This body given to this soul is identified as Gayatri. The body moves and is called Gayatri. But, who am I? My Swamiji has allowed this body to exist in His creation. Is it not that this body should performs the acts that helps the creation? Isn’t it that He is the commander and we are the medium? If that is correct, then why do we suffocate in worldly attritions? My story is small, but my life is big. I have seen this ashrama grow without refrain. I am continuing to perform my seva unhindered. My faith is unshaken and my love is unsurpassed. I know that He will always be with me. My original name is C S Radhakrishna. I was born March 5th 1952, in a village near Bangalore. My father is C.R. Shankaran, was an education officer in the old Madras State, later moving into the Karnataka State service. My mom Sharada was a Gandhian who followed Mahatma Gandhi and became a very popular social worker in Western Karnataka. We are five brothers; Raam Murthi, the late C.S. Vadararaj, C.S. Narasimha, C.S. Venkatesh, C.S. Radhakrishna and one sister, C.S. 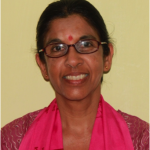 Sujaya, a school teacher in Bangalore. When I looked back I see it as a kind of destiny or force of nature that caused us to meet Sri Ganapati Sachchidananda Swamiji in January, 1965, in a small humble village, Kesare, on the outskirt of Mysore where the City electricity workers lived. Sri Swamiji came from Anantapur District and He had a temporary stay at Kesare. My mother, Sharadamma, along with Sitamma, the mother of Mr. Jagannatha, the Manager at the Venkateshwara Temple, both visited Sri Swamiji for the first time there. Being in an ordinary Hindu Household, we always believe that some spiritual help will come when we have domestic, economic, health or any other problems. So naturally my Mom, a devoted lady, always believe in the principles of Guru. Sitamma was a very close family friend. She used to come to our house very often and one day she invited us to go to Kesare where there was a young Swami there who always helps people; by listening to their problems and giving some counsel. So as it happens with destiny, my mother and Sitamma went to Kesare and I was dragged along. It was a Sunday and Maha Ganapati Homa was going on in very small tent with a small gathering. A young lad, Satyanarayan, later Sri Swamiji, was performing the homa. When He completed the homa, He came out from a very small, humble room where He lived. I observed the situation where a few workers and a few boys were assisting with some kind of religious ceremony that was taking place. I had glimpses of what it can be; a religious person doing something with a community of people. My mother and Sitamma got some blessings from Sri Swamiji who told that He would visit our house on a Sunday, a Saturday or a Thursday. Many months later, Sri Swamiji walked to our house in Jayanagar. Earlier, my father was transferred to Mysore where he was put in charge as inspector of schools. We had a very humble house in Jayanagar. In June 1966, Sri Swamiji was entering His present ashrama on Nanjangud Road. Later, in November, He came to our house walking all the way from His Ashrama to Jayanagar, a distance of almost fifteen kilometers. He came wearing His padukas and held a stick in His hand, a dandam. As He arrived in our house, we were not sure as to what to expect from a saintly person like Sri Swamiji who looked religiously charming. He had a very bright face with shining eyes and a small beard. He mentioned that He was very hungry so my mom cooked some meals for Him, but it was burnt out. Yet He consumed that food in our small kitchen. Then He said that He has accepted all the responsibility of our family and also the karmas along with it. After eating He asked my mom to prepare some Dosa because He was still very hungry after that long walk. My mom fed Him while she was in tears as she thought that she could not give Him proper hospitality. Sri Swamiji was seated in the kitchen on a small plank and He converted some of the burnt-out snack into jaggery. He gave half to me and the other half to my mom. My mom told me that I broke into tears for no apparent reason. At that tender age of fourteen, I felt that I had met somebody. My mind went blank, I couldn’t say anything. At this time, I did not have a questioning habit, but my questioning and thoughts were very erratic. I did not know what was happening, so perhaps I cried a little bit. During this visit, He manifested a small Ganesh for us, from the snack and He said that all things will be well in the future. I thought maybe He is future seer or something like that. He mentioned to my mother about her previous Guru, Shankaralinga Bhagavan Saraswati who lived in Shomaga Town, in a place called Malebenul. Now there is huge ashram there for Lord Dattatreya. Shankaralinga Bhagavan Saraswati was our family Guru according to my mom’s tradition. There is a tradition in our family to go to the Guru to worship Him in December during Datta Jayanti time, in the month of Margashirsha. 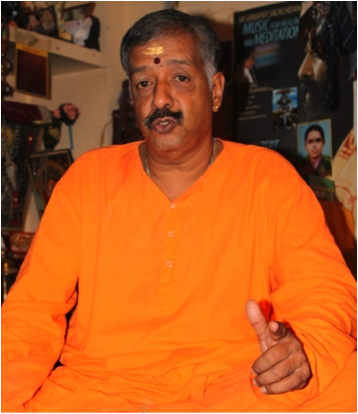 Sri Swamiji mentioned that Shankaralinga Swami had sent Him to our house and that was a reason for Him coming there. He also said that there is a stronger reason for walking all the way to our home; hat He is one of our brothers. There are five brothers and He mentioned Himself as our eldest. He did not make any mark on us and my father was not much interested. For him, many Swamijis come and go because some saints or/gurus would normally visit, accept Bhiksha and then go. After all this is India. My father was not there at the time, but he was a great devotee of Lord Subramanyam. He used to chant Subramanyam songs, so we all have a kind of hobby or genius for singing. During His visit, Sri Swamiji introduced Himself to everyone and then He left and walked back to the ashram, His humble hut on Nanjangud Road. Sri Swamiji always loved me and addressed me fondly as Radha, a shortened form of Radhakrishna. He said that I should come to this ashram hut often. I was then studying in the Shala Vidyalaya School in the eight grade, but I started spending a lot of time in the ashram, so I was asked to learn some Vedic chants. I was very naughty and strong headed with a strong personality. To meet Sri Swamiji everyday I had to ride my bicycle from Jayanagar. It was a challenging thing for me, but I liked it. My mischievous nature was not tolerated by Sri Swamiji, but my mischief was, I was a little bit arrogant and what I wanted to do I did. Meeting Him was just like meeting another karma; a different kind of karma, two clashing karmas. I didn’t know anything about spirituality, even till now. At that time I was asked to do everything. My father used to ask me to focus on education alone. My mother always cautions that I should behave properly. Now putting me in touch with this Swamiji, who was always wearing red robe with a small beard. I did not know the deeper inner meaning so I was very playful. Everyday it was play for me to come to the ashram; to be here. I used to cut woods and clean up the place. I used to do any work for that matter; anything that I can do. I arranged for the homa; go on cycle to get water or vegetables for Swamiji, whatever I could do and, I did it with full enthusiasm. I loved my childhood with Him. On the other hand, Sri Swamiji treated me differently. On one side He showed me some kind of love; He made me to believe that He was very close to me. On the other side He treated me as though I was like a beggar. At the same time I believed both, so we were very good friends. I used to take Him on bicycle and sometimes scooter rides. All sorts of things happened in this place because it was a forest here. Imagine coming way back from 1965/ to now, so many years have passed but they all have been impactful. In those early days my feeling was that Sri Swamiji was some God-man or God-person and that we were supposed to respect Him for what He is. I didn’t understand His in- depth nature. In Kannada He used to say Lord Ganesh will help you if you believe in Him, He will take care of you if you have interest in Him. Ganesh and Ganapati became famous to me because He impressioned me with that. So I started saying Jai Ganesh everyday. One day He materialized a locket for me and from then I became very close to Him. As a boy I used to do all the work. People call it seva, but I didn’t call it as seva, I worked here. Out of all the boys at that time, I was the foremost, most enthusiastic, most energetic and dynamic, and I got things done in a jiffy. He always called me for assistance if anything needed to be done. The people who were coming here were called as devotees. I didn’t know what a devotee was. A devotee is one who is devoted to a person or a cause, but I never saw people truly devoted to Sri Swamiji. They came here with their problems thinking that they would get some solutions and then they went back. Sometimes, He used to be in a very playful mood and at other times He had a very pensive and temperamental person. When His work was not done He would be very angry. He was bossy, authoritative and sometimes He was repelling. At times He wouldn’t mind thrashing me for some of the wicked I did. Yet overall, the association was one of play, mischief and Hs influence on my day to day life; I thought that He had some meaning for our lives. My mother used to say to accept Him as a high yogic type, yoga man or a hermit of Godly nature. As I could not understand what God or what yoga was, I just played with Him. Many days Sri Swamiji used to feed me by His own hands. Sometimes He used to show me charms, tricks, materialization from thin air and all sorts of things. His homas on Shivaratri day started off by standing on the fire of burning amber. So many other things, but I couldn’t make any meaning out of it because I was not interested in it at the time, I was only interested in play. I loved my coconut eating which He would provide me. I loved sleeping here in ashram, on the bare floor, getting bitten by thousands of mosquitoes, drinking the water and sleeping always as if I didn’t have any other business. Many times He called me a crocodile, a useless fellow. He tested me a lot because I was not focused, so my student days were a little confusing. Once, I wanted to focus on studies, so I used to go home when I did not like this place. Sometimes I used to be very angry with Sri Swamiji. When I told this to my mother, she would say that He knows everything. Whatever and whenever He calls you, don’t disobey Him. Maybe I was an ordinary Brahmin child and a humble fellow, but I had my own inner roughness and shoddy ways. I am not temperamental nor am I an emotional person. As I grew with Him, my agnostic power grew more and more powerful. Let me confess that at that time I was not a devotee of Sri Swamiji. I did every work no doubt, because my Mom told me to. I loved my mother very much, and because she ordered me to go there I came to this place, cycling down with my brother, sometimes double riding all the way. Now I understand that it’s all supposed to be destiny. Now I can give a beautiful philosophical reasoning, a nice rationale also is built up. At that time it was not like that. I have been around for a long time and I can say I have been associated with Him for a long time. I have seen Him in the physical day to day working. Sri Swamiji is a highly religious person. He worships the Sun, Lord Ganesha, Nature, Mother Goddess and He talks about Shiva and Ganesha. All these things which caused me to believe that we have to have the blessings from God became very necessary for my progression. Somehow though, what made me to stick to Him was that He gave me small nice goodies; eatables, coconut, plenty of bananas, nuts and all these things and every time He say to eat this. Eating was my first nature. One day He said, “I have blessed you, eat well.” That was the first mantra He gave me. My initiation mantra was to eat well. I was very fat and very popular in the ashram circle. I used to boss over everybody and I had my way, but I did things efficiently. I was hot headed, strong, arrogant and some kind of ego sort of play with me. I wouldn’t care for any person; that was how I was. I was fearless. As all these things added up Sri Swamiji was very doubtful if I would mend my ways and become a good sattvic person, a quality expected of every saint. But as I grew up with Him, my rationality also grew. I started disbelieving and suspecting everything, so I had a conflicting life for many years. There were conflicts between what religion had to offer and if these practices done by Sri Swamiji were true and helpful. Whether they meant anything to me, while on another side what was I suppose to do with them. What was it I was supposed to learn here? These conflicts also came up because of my egocentricity which is my main enemy. My ego always said to be independent, don’t do/listen to all this. Even though you are under somebody, whatever He may say, it may mean that He is a very selfish person. He may be a very selfish Guru; thinking of Him and using us for His own gains. All these things came up as I grew up as a person. At the prime of my life while I was under His tutelage, I started thinking that I must stay away from this because I didn’t want to be in a society of Brahmins, with a conservative way of looking at things. I thought I must take some kind of a challenging occupation and I must study. He was there when I studied for my Pre-University and when the results were announced, He was the one who was always watching if I was studying or not. I graduated with Bachelor of Science Degree. I wanted to join medical school, but because we were very humble economically we couldn’t afford it. During my growth period in the ashram, I also grew up; sometimes loving Him and sometimes not loving Him, sometimes believing and sometimes not believing, sometimes being on my own and sometimes trying to be closer to Him. I used to come very often and sometimes I would stay here. Once, for two years I stayed and learned Vedic chants and Hatha yoga directly from Sri Swamiji. All these pranayama and Kriya yoga that is taught today, was taught to me directly by Sri Swamiji. He wanted to involve me in some righteous good conduct. Perhaps He meant well to me, but my mind was too much full of agitation. The agitation was some sort of karmic thing. I became a believer but I always had an agitation. I was finding it difficult to cope after I finished my Bachelor’s degree. I wanted to do my law degree so I went Bangalore and studied law. During law school I used to visit the ashram and Sri Swamiji. After that I did management studies. Looking into the nature of my rebellious mind, Sri Swamiji thought that I shouldn’t stay in the ashram anymore. I joined the High Court in Bangalore and I became more rational, I started having more disbelief in religious things of a pontifical nature; in Hindu religious understanding. It did not represent much for me; it did not make sense. I had heard about Sathya Sai Baba, Shirdi Sai Baba and the great saints like Ramana Maharishi, Manik Prabhu Maharaj and north Indian saints. They all meant so much to me because I was with Sri Swamiji. To accept Swamiji as a great saint and bow down to His feet was not my nature. Slowly and gradually I started loving Him in the sense, that there was a purpose in being with Him. He wants me to be something. Maybe He is taking me somewhere. I had to slowly understand that. One day He told me, “You are not fit for India; you are fit for Western World. You have a western type of ideals.” I didn’t understand what the western type that He meant was. It’s a life where I had to work. I had to justify what I had done as being right, I had to love what I did and there should be no sort of sourness or diabolic way as some people in India were. There should be no imbalance in thinking; a loving straight-forward attitude. These are all things that I liked, so perhaps I was fit for western world. So amidst this turmoil I left for Europe. I was in The Hague for six months because I did not want to be in India. I am a very straightforward fellow. Whatever I wanted to say I said. I lacked diplomacy a skill I did not have perhaps. I was good at what I was doing. I learned singing and yoga. I purposefully learned what I wanted to. I became a very good student of yoga. The training I went through is something I can now admit was only done through Sri Swamiji. My training and my understanding was supported by Him. After I landed in Europe I realized that I loved it very much. Many people took care of me and just to experience life, I travelled all around Europe by myself. Then I remembered about Sri Swamiji and my parents. I was on my own to test my will and my strength. Whether I am a Hindu Brahmin, or whether I can survive here in the rough, tough worlds of western countries. I had to face the different weather conditions there and still go on. This was good for me, I did it. I travelled a lot in Europe. Finally I came down to Germany, where I lived and stayed with Mr. Silvius Donnier at Radoffzell am Bodensee. I adjusted myself and I went to a German school to learn the language. After I got my certification a terrible car accident occurred. I broke my pelvic bone and had to be in hospital for three months. That physical hurt changed my thinking about being in the western world. I was a very ambitious person, so I wanted to be an achiever. I wanted to do something. After I was released from the hospital I came back to India, but I did not want to stay here. I was in Bangalore and again I left to work for some time in the gulf in Oman and returned after two years. I wanted to work and do something on my own; making my own money, having my own car and owning a big house. I wanted to fulfill these physical aspirations as a young boy, which is natural. However, within myself I slowly understood that something was growing very powerful in me, dominating all other things along with my physical experiences. When I came to the ashrama for one Navaratri, it was the time for transferring change that had to occur. Sri Swamiji very compassionately told me that whatever I had to go through, I had gone through now. What I have gone through was hard work, struggle, life, seeing money and enjoying life and being with society whether to relish it or not, but my sankalpa was to remain true to my own work and I have done that. Now I am back in India and the world did not interest me anymore. Sri Swamiji was here in Mysore. I was not responding to Him and I was not keen in talking to Him. But I had developed such a respect for Him. I had within me a very dominating spirit with powerful understandings coming out. They did express themselves, but I was hiding it, deliberately suppressing it on one side, and I wanted to do that through my arrogance. I was arrogant in portraying myself as a superior person. I thought that I had great maturity on matters, whether worldly, spiritual or whatever. So this careless behavior, maybe it was arrogance. Sri Swamiji was trying to hit me everywhere, every time. He was as if holding an unseen hammer, hitting me every time. This had happened from the beginning from childhood. It was difficult for me, because why He was doing that and I did not understand. The events turned out differently now. Because I was familiar with yoga I could understand His trance state where He would be away from His body consciousness for some time. I had to understand something about him and it was as if He wanted me to learn something. It was as if He was saying,”Hey Radha, you have to know about this.” There was a kind of intention in what was happening before me. In those trance states I had to deal with and be with Him. In this way, He came out with unusual mystical teachings to me. After seeing these yogic states of Sri Swamiji I started understanding that He is not much of a body conscious person. He has won over the sensory organs; He has indriya nigraha. He is capable of overcoming His lust, sexuality, sensual nature, conflicting views, and dualities. He is the sort of person who has a malleable, flexible mind, which can be energized by a higher cosmic energy or a higher connection. Because I didn’t know about that connection, I was seeing Him in His trance states and at the same time His childlike mind. All these combined together made me believe that He was a very mystical person. My scientific enquiry and understanding had been very favorable, always reasoning things out. But these things were not ‘reasonable’. I had to open my heart’s chamber. He made me open my heart so that all this would happen. Sometimes He also took me on tours. In 1976, for the first world tour for singing and propagating yoga and I was included in the program. I played a crucial role on the tour. I had learned music and I managed to be a good table player. I also learnt singing and I became a very good singer. I had great confidence. We went to Kuwait, United States, Trinidad & Tobago and Venezuela. Then we went different countries in Europe. The program lasted for three and a half months before we returned to India. During the tour I became aware of another dimension of Sri Swamiji. There His mystic nature revealed itself. He was in some of the churches, temples, and public community halls. He was singing in rapture. I had seen Him singing in 1966, but He sang with me alone. I had a monotone box, a shruti box with which we used to sing; Sri Swamiji and I alone. Then while He sang He would go into raptures into such ecstatic moods with a different kind of feelings. That scenario opened up when I saw Him singing in many places in the US, Trinidad, Europe and all these places for the first time. That made me feels as though I was accompanying Him, that I was with Him. It made me feel that I was with a great saintly person. When I return from the tour I felt that I had more love for Him now. There was deeper respect and I look at Him differently. I bow to down to Him and said, “Sri Swamiji, if I can be of any service to you, kindly pardon me my misgivings” and I confess before Him, because I had some bad habits. But now, coming in contact with a saint, coming in contact with Him meant a lot to me now. In those ten years I have seen Him in different dimensions. Normally people say life is full of changes, but this change happened to me only when I started respecting and loving Him. After this I never questioned Him although I had a lot of questions. He gave me a lot of things. He taught me Bhagavat Gita and Guru Gita. He told me about Jnana, Karma Kanda, Ramayana, Mahabharata and all its stories, Katha, Upanishad and Ishavasyaupanishad. All these things became easy for me to catch and grasp easily. In Europe and the USA I was asked to speak; it was a powerful flow which came automatically but I believe I didn’t do it. I can’t because I know my limitations. I had opened my door for something which He Himself made me do. I felt very good with that and I became more attached to Him. I decided that if I have some work in the ashram and I was doing for Him, I was okay, I am good at it. I have a very strong determination to be with Him and see His perpetual light. I want to see that light that keeps Him so energized. Why is it that He became so different from all the others? Why is He a saint? What are the general marks of a saint? Certain characteristics are there. A Saint doing pujas, havan, giving discourses and even counseling others, but that’s not my business. I wanted to see what makes Him so. What was that power behind Him? What is that energy that works with Him? Even though He used to say Ganesha, Ganesha, the term Dattatreya came to use much later later. One day I asked Him, “Who is your Guru?” and He said, “Lord Dattatreya is my Guru.” I had heard something about Dattatreya and Sri Swamiji from my mother, but now I had to go through a long study about Lord Dattatreya; His origin, philosophy, Guru Charitra, teachings, lineage and everything else which I did in a few years. It made me to think of Ramana Maharishi so I went to Tiruvanamallai. This is where Ramana Maharishi taught a lot. When I came back I was full of happiness and bliss, even though it was a short tour. This happened in the middle of my longing for a physical carrier, a professional life and at the same time an understanding of spiritual truths. I was being with Sri Swamiji with such a messed up mind, so Ramana’s teaching became very handy for me. I came back to Sri Swamiji with the realization, ‘Check who or what you are. Find out what you are in truth. What is that arrogant element that you often use as ‘I’? Source it out properly with the help of a teacher, a guru.’ Suppose you would ask me if Sri Swamiji is your Guru now? I will say yes! Before, yes! But it was not an agreement. Now I see Guru; the guru principle in Sri Swamiji, because He also shifted from one facet to another. Those loving young days when He was very carefree and jovial, we enjoyed His religious teachings, rituals and ceremonies. The grand Navaratri, Shivaratris and Datta Jayanti celebrations just being with the people, feeding them and helping their social activities in whatever way He could. Another facet where He has shifted is to where He is teaching Kriya yoga and meditation. He talks about siddhis, manifestations and He tells you that human life is worth struggling for. The body must be used as a tool for the Godly nature to understand the truth and if you miss the boat it don’t come again. That brought me to an awareness that time is very precious. It should not be spent out with people, communications, or a friendship. All these relationships, romance, all these things were not for me. Even though I am basically I am a person I like, love. I like life. There was change in my perception in life. After returning from abroad, He started to frequently send me on my own mission abroad. He asked, “Have you mastered Bhagavat Gita and Guru Gita? Are you capable of giving out the essence of the Upanishads?” I said yes! Then He said, “Okay go.” Everything was arranged to go Europe and then I went to America and Trinidad. Whatever was supposed to happen was on my own initiative. That taught me to be very flexible and tolerant. It taught me in a very subtle way to develop a divine relationship with western people. Not on race, color, or creed or any discriminatory factors, but to look at them as human beings. Before leaving, Sri Swamiji implicitly told me that the divine manifest is very preponderantly powerful in man, in human, so respect all human beings and love them. He wanted me to be everywhere. What I learn there was that it all looked like a dream to me. Dreams, like secrets are happening before me. But now I am confident. For me now Sri Swamiji is a great mystic; an unbelievable, spiritually powerful person, who walks around us. The guru element is in Him. ‘Guru’ is a common word everyone uses here in India. But as Sadguru I see Him for His great multifaceted personality. On one side there are great achievements in yoga, being a yogi himself. At the same time there is an equanimous disposition of mind after having become a yogi. Having gone through the struggle of life, through penance, being with common people and grinding him with the common difficulties as I have seen Him in young age, I see that He is beyond duality. This is a characteristic of the guru. For Him, this is my transit point, planet earth. But He is attracting thousands of people today irrespective of country, creed or race. Wherever He steps, that place becomes holy. He creates certain sacredness to any land or any person. A person maybe ordinary, rustic and not knowledgeable, but for them also He uses inspiration. He is capable of doing that but He has His own conditions. On one side He shows the glories of all the deities and the energy system becomes mystical in expression and thereby adds force into every word He wants added into something and the words become true. They mean something and in order to make them understand He gives you sufficient strength to understand it also. There are people who are working with Him always. There are many families who have become closer to Him. He has a beautiful circle of pure souls. Who always says Datta, Datta. Dattatreya was Rishi and they compare Him to Sri Swamiji. As Shirdi Sainath is compared to Dattatreya teachings and they say He is an incarnation I can very say that I have experienced form. Having studied life of many saints, Sri Dattatreya is supposed to be a very interesting Rishi and Sri Swamiji has His common characteristics. He is a yogi, a vairagi, unattached totally to anything. At the same time He plays with the world that has been created by the cosmic truth. The world is a stage for Him, He understands that very well and He plays His role very well; that is the attribute of Sri Datta. All accomplishments are with Him. He is the source of all spiritual accomplishments, the ashta siddhis. He has this and yet at the same time He says that I am nobody. Goddess mother is the truth, but there is a higher truth; He points His finger to a higher Parambrahma which is Datta’s trait. He can be a rustic and a beggar at the same time. He can sit on a gold throne or a farmer box. He can be a king or servant. There are many events where I have seen Him that prove these things. That equanimity which He has developed is very rare in our community in our human society. Today He is shining as a very brilliant star. Everybody talks about Datta. Everybody talks about Sri Ganapati Sachchidananda Swamiji, saying that we are all living in His time. You are on a campaign to collect the stories all devotees and I can safely say that for the revival of our dharmic tenets Sri Swamiji is there doing this for the benefit of His people. He is doing that so that there could an elevation in human life. Is He very conservative now? Is He here to glorify himself? No! not at all. It is all in your perception as how you want to see Him. Maybe as a rich man, a beggar, a yogi, a bhogi or as Chaitanya Purusha; whatever term you use, combined together He is That. He is walking with us and He is making you walk with Him. You have to place your step very carefully. Every step has to be a step of awareness, which Guru’s grace within your heart. Every step has to say the time is not long. Always think about the higher purpose in life when you are with Sri Swamiji knowing that you have been there before, is there now and will be in the future too. And that saintly nature is preponderantly powerful. I have sublimated my ego to an extent. 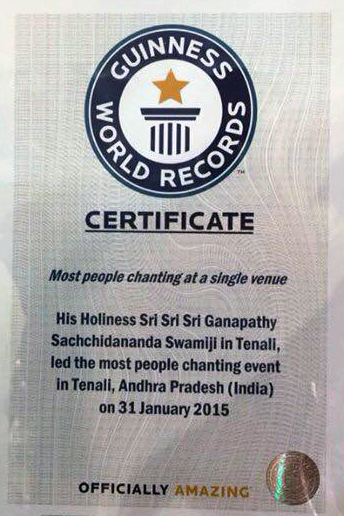 I know that this Swamiji is an ego basher. He expects you to be in a certain way and He wants that to happen and that’s it. Maybe my life is supposed to be here, so I don’t expect anything as such from Him. My attachments are limited, but I keep doing what I can do. At the same time I know very well that man’s time is short on this planet. A certain amount of fulfillment has to occur here. This according to my karma can be different with others. He has to play His worldly role and He is doing it very well. I don’t know if I deserve to be His Shishya, but I see His grace working with me always and every moment. Ashram life has taught me a lot and I am quite discipline now, but I have limitations. Datta’s creation is beautiful and He shows me that everything is Datta. Everything works with His power and to a certain extent He gives me glimpses and Sri Swamiji is still there silent unto himself alone in His own Swarupa. In his own blissful state He is there. All these things happen because of the energy He possesses or it has been blessed to Him by His Mother Mata Jayalakshmi. I see a human excellence in Sri Swamiji. On May 25th, 1993 I saw His Holiness Sri Ganapati Sachchidananda Swamiji for the first time in the physical form in Trinidad, the country of my birth, under strange circumstances. He had shown like a beacon light for lost souls. A sense of filial love radiated resplendently. To me He looked like mother-father-child; all in one. Being brought up in a multi-religious, multi-ethnic background, I was awed by seeing the devotees fully prostrating before Him on the bare ground. I just stared and look. He was standing about five feet away when I saw His eyes on me and I offered my pranams while bending my head in reverence. When I raised my head He was still looking at me, He smiled and shook His head to the right as though He was confirming my presence. Immediately I remembered the Paramahamsa Yogananda incident of meeting with His guru, Sri Yukteshwara. It must be borne here, that at that time Gurus and Holy men were not part of my psyche; those whom I met had encouraged lots of doubts about Hinduism and spirituality, and showed a penchant for obtaining financial endowment. Somehow I remained absolute in my faith notwithstanding my recalcitrance and radicalism. On the Sunday before His arrival to Trinidad, I attended the temple services for the first time, although the temple was close to where I lived. After the services I unconsciously started to help with construction services for the preparation of His arrival. The following day, Monday, He will arrive at about 10.00 pm. However, at 4.30 pm on that day the kitchen/dinning area, that was being prepared, caught fire and was about seventy five percent gutted. Devotees were running helter-skelter and grown men were crying and wailing. Strangely, blame for the fire was attested to no one. During the commotion, I started to feel a morbid sense of guilt, for during the Sunday work along, I complained to the kitchen manager, that I was disappointed in the way the construction was done. The faith and love that was being expressed for the Guru was in no way reflected in this construction. So to vindicate myself, I volunteered to reconstruct the structure properly. By His Grace, the devotees’ faith, and some other miracles, the structure was completed before HH placed His Lotus Feet on the Ashram grounds. In retrospect, the sighting that summer was not the first, albeit not in the form. In 1970, at the age of eighteen, I had the darshan of The Lord Jesus. No words were spoken, but his smile and look was so encouraging. I thought that I would soon die and join Him in Heaven. I thought that this was the purpose. After this incident, I got involved with a group that performed Hari Katha, which read and expound the Ramayana in programs throughout the island. Here I learnt the tenets of Hinduism, the religion of my forefathers who were indentured to Trinidad from Bihar, AP and Tamil Nadu. 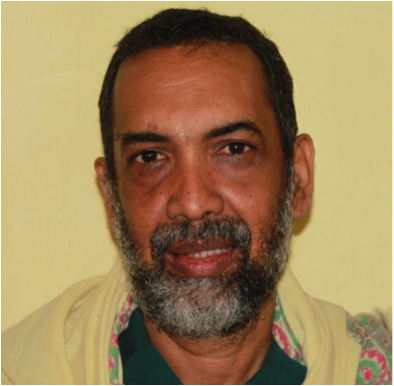 In 1973 I got initiated into Hinduism, became a vegetarian and a teetotaler. I was searching for spirituality, but religion kept stepping in the way. In 1979, I left Trinidad to study architecture and building construction at Auburn University in the USA. I graduated in 1984 and took a job with a large construction company there. During this period I drank alcohol socially and eat meat lavishly. I was confused about God, so without acting out I simply recoiled inside. Then on the 26th April 1986, everything started to change. I attended a wedding reception at a friend’s house in Fort Benning, Georgia where I was the chief organizer. It was a gorgeous spring day, with deep blue skies. It was perfect; not a stand of cloud to obstruct one’s view. I sat to the front of the house with a bottle of rum and a bottle of beer. I would drink the rum and use the beer as a chaser. Sitting on a chair, I poured rum into my glass and was about to put it to mouth. With my head raised towards the heavens, I saw a group of cloud directly in my line of vision. I was stunned for a moment as a second ago there were no clouds; where did these come from? With the glass still at my head, I distinctly saw a finger protruding from the clouds pointing towards me, and a distinct voice saying, “That is your last drink, that is your last drink”. That was my last drink. To this day that has been my last drink. I neither miss nor yearn for it. Three months later, as fate would have it, I returned to Trinidad to take up a teaching appointment at a Technical college. We got a home in suburb of Chaguanas, about three miles from the Trinidad Ashrama. 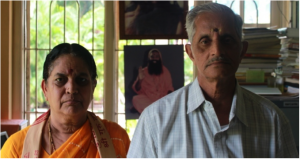 We hired a live-in house help, who was a devotee of Sri Sri Sri Ganapati Sachchidananda Swamiji. Revati would sing bhajans; and although they were different, they were soothing. She kept insisting that I must come to the temple. Out of frustration one night I went, primarily to take her there. There I saw a life size photograph of His Holiness; whom she introduced as her Guru. In the crowd I saw a student from one of my classes. Vishnu and Capil Ramdath were students in classes that I taught. They were both devotees of Sri Sri Sri Ganapati Sachchidananda Swamiji. They would tell me of His power and miracles. I had no interest in their lamentations. One evening during class, I engaged in a conversation with Vishnu. He kept insisting that his Guru was the only force he needed and that all actions were just extensions of the Guru. I abjectly insulted him, to the point that he missed two weeks of class time. On his return to the class he iterated that he prayed to his Guru and begged Him; that if He can change one person, it should be Mr. Edward Bharath. Now I can say, “thank you Vishnu for His prayers”. After that first meeting with HH, I remembered telling my family and friends that “I have seen God”. Confusion reigned as I was now juxtaposed between the past and the future standing at the junction of the present. I became a convert from the past, and now, is this the spirituality for which I was searching? If I can surmise, everything that happened till then was the work of some cosmic relativity. Those answer then, is it GOD? But who is this God? All these questions led to the realization that all physical things emerges, stay for awhile and then go away. But the thought that controls them are forever there. This thought or cosmic realization is the primordial gift to existence. Is this realization the Sadguru? And so my thoughts were running wild. Without knowing, the next few days became the mirror of a lifetime. I saw purpose. This was not blind faith; it was like a new romance for a young boy. He was guiding, is guiding, and will always guide me. That year was 1993; many years have come and gone. Many souls have come and gone, yet that beacon still shines on. Forever will that light shine on the pathway for those who have the Faith in Him. For me, He is the beginning, the end and everything in between. He is the ABSOLUTE. My great grand-father, Ali-Meah Sahib, came to Trinidad, in the early eighteen hundreds, from the Uttarpradesh area of India. He came as a Muslim convert to work as an indentured laborer in the cocoa estates. Although he was a Muslim, he still practiced Hinduism by reading Ramayana in the barracks building, with fellow indentured servants. He had one son whom he named Bharath Ram, my grand-father. My grand-father was supposed to carry on the religion of his fore-fathers, but as fate would have it, he met and married a missionary lady from Venezuela and converted to Roman Catholicism. My father and his siblings followed in that order. In 1972, I had the darsan of the Lord Jesus Christ where for the first time I saw spirituality instead of religion. I searched for that spirituality and that drew me to Hinduism, which was devoid of religion. Later that year, I got initiated into Hinduism with the permission of my father. Although he was versed in Hindi and Hinduism ideologues, he never practiced the religion. Anyhow, he did support his children in their religious endeavors, with their marriage and in my case, my initiation. He even named us at birth with a Hindu scriptural name; mine being Ramsamooj. In 1976, Sri Ganapati Sachchidananda Swamiji made His inaugural trip to Trinidad, but only after seventeen years, in 1993, I would I have the fortune of having His darsan. That first meeting was so magnetic that till today, I am still anchored at His Lotus Feet. I know what His features look like and I can identify them, but I try to keep my eyes riveted to those sublime and divine Feet. For many years my wife, Ruth, wanted a divorce. After meeting Him, I placed everything at His Feet and engrossed myself in His service. In 1996, He gave me permission to divorce her and return to the United States. I moved to Florida and stayed there with our three children, Ruard, Del and Edward Junior. Much later, the other two, Vanessa mand Ria would join me. In 1999, through my meditation He informed me that I will meet a person in December whom I should marry. On December 13th 1999, I met Pearl, a devotee of Sri Sathya Sai Baba and the following year we got married. Two years later, He gave her a gift, Sathya Datta. We were informed that when the boy turned eight, he should be brought to Him. On July 11th 2009, when the boy turned eight, we took him to his Guru, during the Guru Purnima celebrations in Dallas, Texas. He advised us that we should bring the boy to the Mysore ashrama in December. We did as we were told and Sri Swamiji had his upanayam performed on Datta Jayanti day. He started some classes at the ashrama and later Sri Swamiji said that he should have some more western education and he must return when he is twelve to be part of the Veda Patashala. During that period, in a discussion with Sri Swamiji, I mentioned that there were so many devotees walking in the ashrama compound and most did not know each other. I said, “Appaji, why don’t we meet these persons, collect their stories on video and chronicle them in a book?” He stopped for a moment and then He smiled and began talking with Prasadanna. Prasadanna looked at me and said that Sri Swamiji was very happy about that. Then Sri Appaji spoke to me saying, “Go to them and tell them that they have His permission to give their stories.” I was so happy, I started the mission immediately. Earlier, before coming to Mysore, we went to the Bangalore Ashrama to have His darsan, after He returned from Haridwar. He asked me about my schedule and how long I was staying. Thereafter we traveled to Mysore. When we arrived there, Swami Manasa Datta Pada Renu was on the main concourse. When he saw me he said, “Bharath, Sri Swamiji has asked for you all to come to Mekedatu, should I confirm.” I said, “Yes Swami,” and he quickly organized the trip. Twenty-four people left for Mekedatu that evening. Sri Swamiji arrived about 9.00 pm and He came straight into the Temple. There He told us about His coming down to earth at the Brahma Kunda. He said that when Sri Swamji took His form, for more than two hours the baby was swirling in the waters playing with other Gods, while the Mother was in meditation. He also told us, that the present location on the Lingam in the temple is the actual place where the baby was placed on the earth for the first time. The next day, He took us to the small temple, at the Sangama where His mother, as a child, would decorate and pray each day. He said that the government has given it to Him and we must maintain it as shrine to Mata Jayalakshmi. Later He took us to Sogala, the birthplace of Mata Jayalakshmi, and then to the Brindavan of His ancestor, who was the doctor to the ‘Maharaj of Mysore’. Later, I realized that those excursions were the beginning of a journey that would change my life forever. 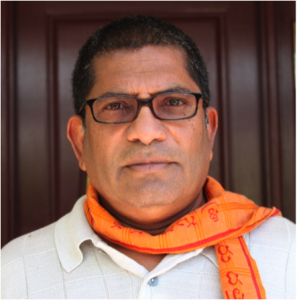 I was advised that the devotees should not write their stories, but they should say it, on camera. He said that when they write; it comes from their brains, but when they speak; it comes from their heart. It was also indicated that all the stories must reflect real situations about their association with Him. I wanted to know who the devotees whom I should visit were. Prasadanna gave me a few names and told me to go, I will meet them. Who were them? I didn’t know, but I started anyway. I collected a computer, cameras, audio recorded and notepads and started this journey on November 29th 2009. With the help of hundreds of devotees, all over the globe, I was able to travel on the Footprints He made throughout His journeys. Wherever the project took me, the enthusiasms shared by His devotees were the same; they all wanted to be part of this project. On the first trip out of Mysore, a Trinidadian, Paras Chokolingam, living in India, came to assist me. He came with a beat-up old ‘Fiat Uno’ car that I thought belonged to the junk yard. He insisted that the car was in good shape, but he will make whatsoever adjustments I ask him to do. I ask him to have a paint job done, put four new tires, get the air-condition working and fix the muffler. I gave him ten thousand rupees, and to my surprise, within a few days he completed all the work. Our first trip was to the Cochin Ashrama in Kerala. He repaired the car and we started again, except this time I was driving. After going for about one hundred kilometers through the forest, we came into a village and the car became difficult to control; it kept pulling towards the left side. We stopped at a tire shop, thinking that they can help. They called a mechanic who looked over the car and found nothing wrong, so we continued. We went for another sixty kilometers, but this time I felt the presence of someone sitting in the back seat. When we got to the other village, the car pulled itself to the left side and perfectly stopped on the side. The engine was running but the car would not move. It was about 10.30 pm and this was the only place that we saw some people on the roadway; venders selling fruits and Pani Puri. Within ten minutes a jeep with five policemen arrived and asked us what the problem was. Soon afterwards two other jeeps came. They wanted to know what our purpose in Kerala was. I told them that I was collecting information for book for my Guru, Sri Ganapati Sachchidananda Swamiji. Some knew Him and some knew of Him. However, that was the magic word; they took me to a hotel and made arrangements for my travel to the Cochin Ashrama, the next day. They also made arrangements for a tow-truck and mechanic to repair the car. The mechanic was stunned, when he learnt that we had driven the car, all the way there, without the front stabilizer bar. He said that the front wheels should have spread as there was nothing holding them together. He repaired the car and later, Paras joined me and we continued. A few days later, we went to the Bangalore Airport to pick-up Pearl and Sathya Datta, who were going to Puttaparthi to have the darsan of Sri Sathya Sai Baba. We dropped them off and continued to Jayalakshmipuran to meet the devotees there. We got lost multiple times, so we were driving for the whole night. I decided to take a nap and Paras said that would drive. After some time I experienced a loud thud and I was awaken from my sleep. I saw Paras sweating and he profusely started to apologize. He said, “I am sorry, I fell asleep and the car ran off the road.” But, the car was on the road, I was confused. I made him stop, took the car and I started driving. Thinking that this was a figment of my imagination, I fell asleep. When I awoke later, I didn’t think about it, but it stayed in my consciousness. The journey took us to Anantapur, Produttur, Kurnool, Hyderabad and then on to Vijayawada. Each step of the way volunteers were there to assist in every way possible. We stayed in places ranging from five-star hotels to open porches, with a mosquito net. We had sixteen course meals to eating a single Dosa, at times. We used bathroom with gold fixtures to simple outhouses. Devotees were happy that we came. We were taping stories in every place imaginary, including under trees. When we arrived in Vijayawada, the place was beginning to get crowded and everyone was busy. We were advised that Sri Datta Vijayananda Teertha Swami was due within one hour. I sat and waited for some time and had the darsan of Sri Bala Swamiji, staying all the way in the back. After awhile, Sri Swamiji left, the curtains on the stage was closed and the crowd started to disperse. I stood there thinking how fortunate we were to have Sri Swamiji’s darsan in Vijayawada, and that too on the day we arrived. In Vijayawada a devotee, Vijayabhaskara Sitaram Chitrapu, offered to help. He called the senior devotees, made all the arrangements, took us and sat for the tapings. He would come early in the morning to our room and sit for awhile. One day, during a casual conversation, he said, “Once, Sri Swamiji was giving a discourse on His Mother in Pithapuram, and He said, “When my mother and father got married, she was about thirteen to fourteen years old; she was slim, tall and very fair skinned.” Immediately, my consciousness awoke and I remembered the vision in Bommeparti. Amma had indeed given me Her darsan. I felt that what a wonderful opportunity I have received; three generations of divinity have blessed me to do His work. We got to Chennai and I wanted to go to Malaysia. There is a new immigration rule that was instituted in 2010 in India; non-Indians cannot return to India in less than sixty days after their last departure. I would be in Malaysia for ten days and I should leave for the US through the Bangalore Airport. Throwing all caution, I approached the Chennai Airport Immigration Counter. I was asked about my business in India and why I was going to Malaysia. I told then that I was doing my Guru’s work and He has sent me. I was allowed to leave with a few words of caution. In Malaysia I enjoyed my stay there, especially with the priest, Gurukul. I thought he had an amazing life. It is believed that Sri Swamiji was walking in the streets of Kuala Lumpur in the 1930s, before He took form in Mekedatu. When I returned to Chennai, the immigration officer there told me that I had to go and see the Chief Immigration Officer because of my circumstance. I went and met a smiling, beautiful young lady behind a big desk. I told her of my dilemma and she inquired about my reason for coming back to India so soon. She listened and enquired about my Guru. She seemed to know Him, but I wasn’t sure that she was a devotee. 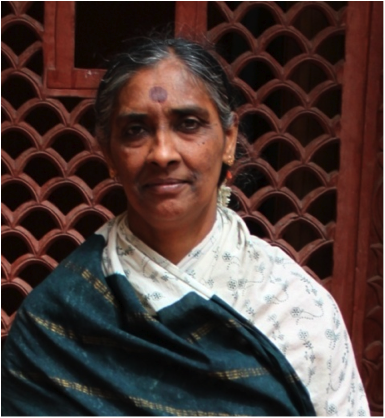 I sat with her for awhile talking about Sri Swamiji, then she stamped my passport and I left. As the journey progressed, I became more and more cognizant that He was doing everything and I was only His instrument. In the period allotted for the project, through His grace only, I visited and met the senior devotees at all the major ashrama in India, Malaysia, United Kingdom, Trinidad, United States, Europe and Canada. I also met devotees from Germany, Denmark, Holland, Russia, Switzerland, Surinam, Africa and New Zealand. I interview those who knew His Mother and Him, as a child, and those who He brought to earth. There were those that died, almost died and some that wanted to die. He kept then all so that they can benefit from His seva. Many senior devotees gave their stories with such passion, that the listeners’ eyes were flooded. Many passed away just a few days after giving their stories. Some still see Him as someone they need to protect and others cannot suppress their love when they are near to Him. Almost all those whom I met became emotional when they spoke or thought about Him. It is said that we shouldn’t thank Him for any endowment that He bestows on us as they are that which He deems as merits. He gives to each devotee enough to fit their capacity. He gives it knowing that it will get done, because He is in control. He self-embodies that spirit that guides, protects, and controls the actions that results in production of pure thoughts and selfless service.